July 2, 2018 – Charlotte Hornets President of Basketball Operations & General Manager Mitch Kupchak announced today the team has signed guard J.P. Macura to a two-way contract. Per team policy, terms of the deal were not disclosed. 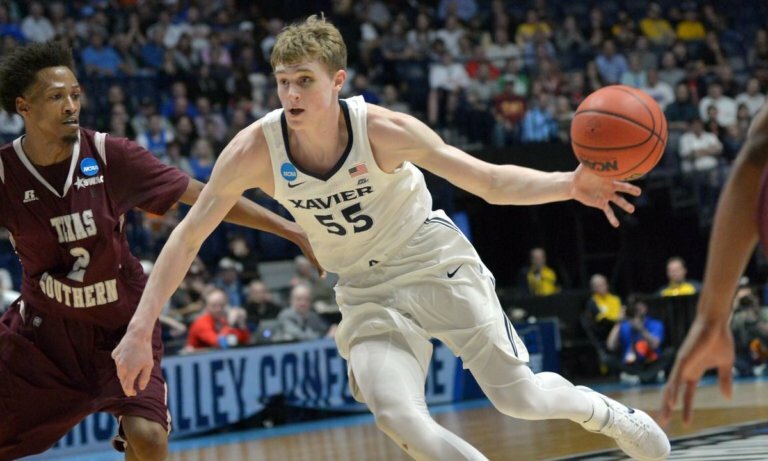 Macura, an undrafted free agent from Xavier University, recorded averages of 12.9 points, 4.5 rebounds, 2.9 assists and 1.4 steals in 34 games as a senior in 2017-18. The Lakeville, Minnesota, native ranked second on the squad in scoring and assists and third in rebounds per game as a senior. He ranked sixth in the Big East in steals, 11th in free-throw percentage (.821) and 14th in assists. Macura finished his college career ranked ninth on Xavier’s all-time leaderboard in free-throw percentage (.798), tenth in steals (166) and 19th in scoring (1,491). As a junior in 2016-17, the 6-5 guard averaged 14.4 points, 4.4 rebounds, 2.9 assists and 1.4 steals per game. He led the Big East in minutes played (1,271) and games played (38), and ranked ninth in both steals and free-throw percentage (.785). Macura earned Big East Sixth Man of the Year honors as a sophomore in 2015-16 after averaging 9.4 points, 2.6 rebounds, 2.0 assists and 1.0 steal per game in 34 games played. two-way players will spend time with the team’s NBA G League squad, the Greensboro Swarm, as well as the main club, but are allowed no more than 45 days in the NBA, not including any time prior to the start of the Swarm’s training camp and at the conclusion of the season.